Holiday in Tyrol at the Wilder Kaiser mountain range in Ellmau! The Wilder Kaiser is one of the most popular year round holiday destinations in Austria. The imposing massif of the Wilder Kaiser is enthroned right on Ellmau’s doorstep. With natural playgrounds for families, fantastic ski pistes, isolated summits, forests and mountain lakes, the Wilder Kaiser of today has lost none of its unique appeal. 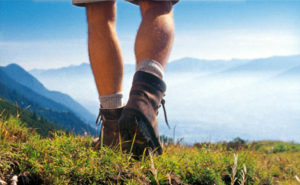 The Wilder Kaiser region with over 400 km marked trails is an Eldorado for hiking tours. The distinctive rocky pinnacles of the Wilder Kaiser mountains are the symbol of the Wilder Kaiser region in Tyrol. Hiking paths lead through forests, then alpine meadows and lastly through scree fields to the base of steep rock faces and deep, narrow passages in the rock. On the other side of the valley the gently grass hills of the Kitzbüheler Alps are much easier to hike thanks to the gondola lifts and panoramic paths, at the same time offering a spectacular view of the rocky Wilder Kaiser. The Wilder Kaiser region is one of the most family-friedly areas of Tyrol. Six mountain adventure parks, each with its own fascination, make the facilities for families in the region unique in Tyrol. Ellmi´s Magic World in Ellmau, The Witches Water in Söll, and the Alpinolino in Westendorf to name but a few. The Wilder Kaiser region enjoys the highest concentration of alpine mountain adventure worlds in the whole of Austria. They are a fascinating and playful way to discover nature. The villages Ellmau, Scheffau, Söll and Going belong to the world´s largest E-Bike region. The gently sloping grass mountains of the Kitzbüheler Alps also provide a wide network of challenging trails and spectacular panoramic routes for mountain bikers. You can also take your bike on the Wilder Kaiser cable cars and start your dream tour at a healthy altitude. Find the appropriate mountain bike ride in the heart of Tyrol. From easy to very challenging, you will find the right route for you. The 27 hole golf course Wilder Kaiser directly at the foot of the majestic mountain range makes Ellmau one of the most beautiful golf resorts in the alps. The 4 golf courses in Kitzbühel as well provide plenty of varied greens to play a round of golf on. 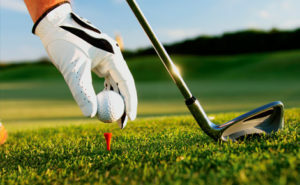 Ellmau offers the best golf in the area with both 27 and 9 hole courses. What could be nicer after a mountain tour in the Wilder Kaiser, a climbing session or a mountain bike ride – than diving into the refreshing water while enjoying a spectacular natural panorama? 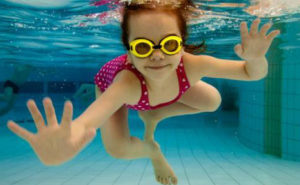 In the villages of Ellmau, Going, Scheffau and Söll diverse swimming attractions range from fun water areas to the cool waters of a secluded mountain lake. The Kaiserbad in Ellmau is located right at the foot of the majestic mountain range. While indulging yourself in the sauna warm water pool with Jacuzzi, you enjoy a fantastic view up to the summits. The Skiwelt Wilder Kaiser – Brixental is the largest inter-connected ski area in Austria and one of the most modern ski resorts in the world. This ski resort offers you 280 km of ski runs, 90 lifts and cable cars, 77 alpine huts, après ski bars and unlimited fun on the slopes. It is not only the enormous size of the ski area which is impressive, but also the quality of the lift system and the perfect slopes. 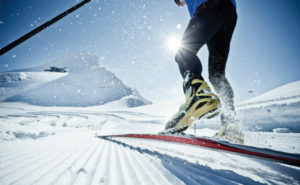 It seems like the gently undulating countryside at the foot of the Wilder Kaiser was made for cross-country skiing. The Wilder Kaiser region has over 70 km of prepared trails with spectacular view of the Wilder Kaiser Mountain range. The trails lead through the winter wonderland of Ellmau and the surrounding villages. Tobogganing by day or romantic tobogganing by moonlight with floodlit. The lifts are open in the evening, especially for tobogganers. Awaiting you are 3 toboggan runs, groomed daily, floodlit and they even have snowmaking. 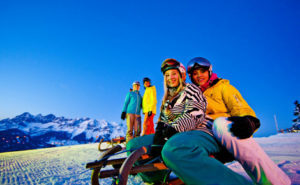 A winter holiday in Ellmau is pure fun for the whole family. The ski area Wilder Kaiser – Brixental is not only one of the largest and most modern ski resorts in the world, but also one of the most family-friendly ski resorts. With 90 modern and especially child-safe lifts and over 280 km of slopes it is the perfect ski resort for families. The Skiwelt Wilder Kaiser – Brixental has been awarded as the best resort in the world specially for families.